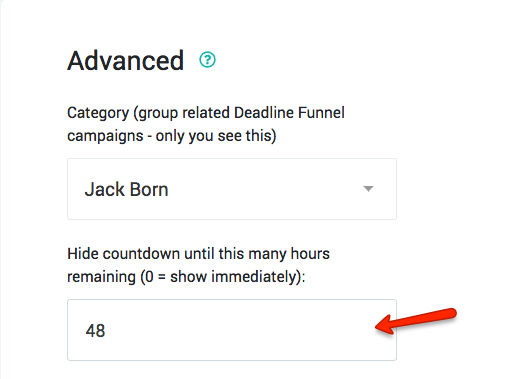 Navigate to edit your campaign >> Settings >> Advanced, and set the number for 'hide countdown until this many hours left'. This determines when your countdown will begin to show. That's it. 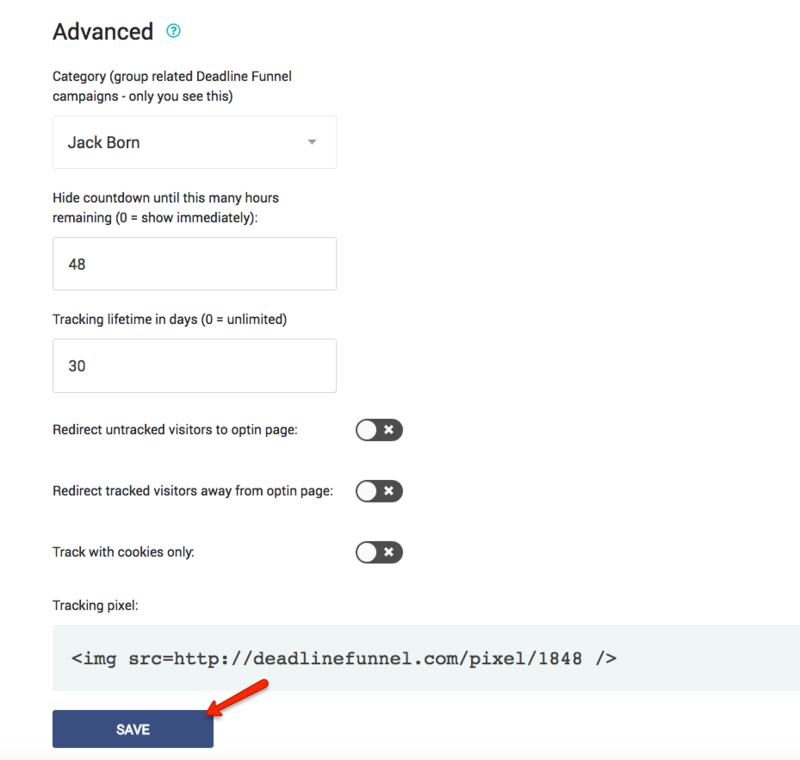 Add the countdown timer to your page as you normally would.